Rotator Cuff Tear - Why does this happen? The shoulder joint is a ball and socket joint. The round head of the humerus sits in the shallow socket of the shoulder blade. Above the ball and socket is the acromio-clavicular ligament which is attached from the bony area on the top of the shoulder blade, the acromion, to the end of the collar bone. This forms an arch. The area under this arch is known as the subacromial space. The rotator cuff muscles are a group of 4 muscles that allow the shoulder joint to move in a controlled way. These muscles pass through the subacromial space and are cushioned from the arch by a small fluid filled sac (bursa). When the arm is lifted the rotator cuff muscles keep the ball of the joint centred in the socket and stop it hitting the arch above. As the tendons pass through this narrow gap they are vulnerable to damage. A Rotator Cuff Tear is a condition where the tendon degenerates or becomes inflamed. This can be due to a sudden injury or develop over time with repeated trauma. If the rotator cuff muscles are weak they become prone to tearing. Pain in the shoulder and upper arm. The pain is worse and more intense on over head, lifting and reaching activities. On lifting and reaching activities you experience a noticeable weakness. Some people will complain of pain at night and will be unable to lie on the affected shoulder. Your GP can usually diagnose a Frozen Shoulder simply by examining your arm, kowing where your pain is and how it started. An Ultrasound or MRI scan may be required to diagnose a Rotator Cuff Tear. Modify Activities - The first thing to do is to break the pain cycle. While it is important to stop activities that make the pain worse, to let the tendon recover, you must not stop using your arm. Muscles need some activity to keep them healthy. Moist Heat - This can be a useful way of getting pain relief. Moist heat is particularly useful if used before exercise. Wrap a hot water bottle in a damp towel and place it on your shoulder for 10-15 minutes. The moist part is important in this process. If you use a commercially available heat pack, remember for maximum benefit to wrap it in a damp towel before use. Exercises - Exercise is the most effective way of helping the tendons recover and re-learn how to do their job properly. This can help prevent further episodes of pain. You will start to see an improvement in your symptoms within 6 to 12 weeks of starting the exercises. Click here for a list of exercises suitable for a Rotator Cuff Tear. Physiotherapy - This is an option if your pain does improve with the self management and exercise. Sometimes extra help is required if you have joint stiffness, neck pain or other factors that make doing the exercises difficult. 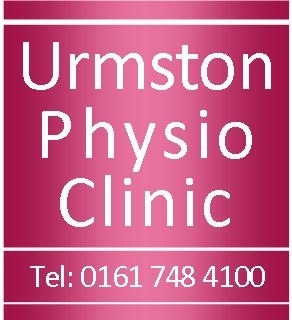 Click here for more information about Physiotherapy. Painkillers and anti-inflammatory medication - These may be prescribed by your GP if your pain is constant and you are struggling to sleep. They are usually just a temporary measure to break the pain cycle. Injections - In some cases your GP or Consultant may recommend an injection. These can be used to reduce inflammation and pain when the symptoms are severe and constant, and sleep is affected. A steroid injection may be used to reduce the pain allowing you to strengthen the rotator cuff more effectively. It is not advisable to have multiple injections as it can weaken the tendon further. Surgery - In certain cases if the pain does not improve with the above intervention, or if the tear is a result of a trauma, you may need to see an Orthopaedic Surgeon. Further assessment or tests by an Orthopaedic Surgeon will give more information. In some cases surgery may be required to repair the rotator cuff tendon. Remember an important part of treatment for a Rotator Cuff Tear is your home exercises and modifying activities.